“We have a good period for Brussels sprouts behind us. However, at the moment, auction prices are meager. Normally, when there is winter weather, the demand is good. This reflects in the prices received at auction", says BelOrta's Guy Jennes. 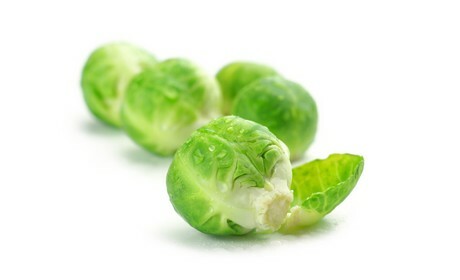 “The current auction price for medium-sized Brussels sprouts is very low. The larger sizes are getting better prices, but it is still too little. We are living in hope that the markets will recover soon. Various growers have indicated that their harvests are smaller. This is due to this past summer's dry weather. These smaller volumes should have a positive effect on the market as well as price formations." BelOrta also offers hand-washed Brussels sprouts. This is in addition to the usual machine-washed kind. This is in contrast to the Netherlands. There, mainly machine-washed Brussels sprouts are on offer. "The hand-washed product is trimmed with smaller knives. This results in a wholly intact product. The larger sizes of these hand-washed Brussels sprouts are especially popular in Germany", explains Guy. "Some of the Brussels sprouts will be sent to distant places. In certain countries, hand-washed Brussels sprouts are highly regarded. Recently, the exports to these countries have also been noticeably lower than three weeks ago. I do not know whether it is coincidental or not." 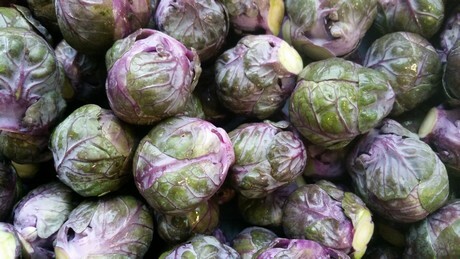 Besides the standard Brussels sprouts, BelOrta also has flower sprouts and purple sprouts in its assortment. These special varieties are popular with German retail traders. Their volumes, however, remain limited. “There is a good market for tomatoes. There are not very large volumes of Belgian tomatoes. However, this also has to do with competition from the south. Here, Spain sets the pace for how prices form. At auction we have, however, noticed that tomatoes from that country do well." "We also sold the first cucumbers this week. It is still difficult to estimate prices. This is because, here too, the southern countries set the pace. The Belgian volumes are still too low. However, in about three weeks, the farmers will get going. The first aubergines will start trickling in from now and over the next two weeks. So, the greenhouse vegetable season is gradually getting started again," continues Jennes. “Other cabbage varieties, leeks, and the various lettuce varieties are currently doing better. This is in contrast to the Brussels sprouts. Chicory's price formation, on the other hand, is a lean creature. It was expected that the supply would be much lower internationally. This was, again, because of the hot summer. There is, however, sufficient product available at the moment," concludes Guy.